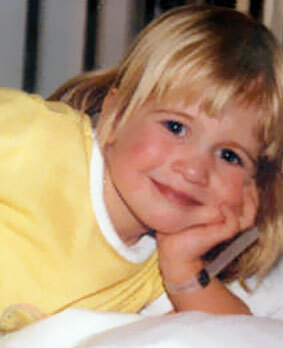 On February 11, 1978 a healthy baby girl weighing nine pounds, six ounces was born. She was the youngest of three children, born to very healthy and happy young parents. With no immediately apparent complications, Elizabeth was presumed normal. Unfortunately, this would change and alter Elizabeth’s entire life forever. After a week of vomiting, falling asleep after only two ounces of feedings and breathing fast, Elizabeth was referred and admitted to Children’s Memorial Hospital in Chicago for the first of many heart surgeries. Her fundamental diagnosis was a single ventricle, DILV (double inlet left ventricle). Early life was not easy for Elizabeth or her loved ones, even doctors were skeptical of her chances for survival. Initially, only three surgeries were presented to correct Elizabeth’s congenital heart condition. After miraculously surviving the first three operations, things would once again take a turn for the worse. The first three surgeries had corrected her condition, but scar tissue now surrounding her heart resulting from these operations started causing severe tachycardia, her heart racing upwards to 240 b.p.m. on a daily basis. With life on the rocks, Elizabeth’s dream of not having severe tachycardia finally came true when, at the age of 23, she had an open-heart surgery that corrected her condition. She had a Fontan-Maze procedure done at CMH, the place she had called home for most of her life. Skeptical at first, Elizabeth had no other options. It was either this procedure or a new heart in the near future. “A heart transplant was not an option for me,” she says. “I had the 12 1/2 hour Fontan-Maze open-heart. This surgery was an immediate transformation! If you can imagine your greatest fears, failed attempts, and disheartened dreams flying out the window of your life in one swoop, this is what it felt like for me when I first woke up from the anesthesia. Today, Elizabeth still deals with minor heart issues, and probably always will, but nothing on the scale of what she dealt with before. She is essentially living a normal and healthy lifestyle after having every groundbreaking Fontan procedure since birth. I’m still working towards my ultimate goal of being able to support myself through my talents of being creative and entertaining,” she says. “Until then, I work full time. I’m a singer/performer with a theatrical flair in a rock band I helped found. I draw cartoons and comic books and make people laugh. I started late in life, but I started.